An explosive new chart shows just why Terry Ryder and I disagree about whether Australia has a housing shortage or not…. … and why I’m right. I’ve been saying for a while now that Australia has a housing shortage. It’s one of the things that explains the nature of the Aussie market. It’s one of the key factors underpinning long run capital growth, and why the post-GFC housing correction was relatively mild by global standards. In part it’s due to stronger population growth than was envisioned 10 years ago. But in large part it’s because we just don’t build enough houses. We were building about 160,000 homes a year a decade ago. Now that figure’s down to about 70,000 a year. I’m still not clear on the reason why that is. I think restrictive zoning regulations and a reluctance on the part of banks to lend to developers post GFC is part of the problem. However, whatever the balance is right now, it’s clear that the balance has been tipping steadily further and further towards a shortage for almost 20 years. So unless there, was some massive oversupply 20 years ago, it’s pretty clear we’ve got a shortage right now. Now normally, I’d stick him in the too-hard-in-the-head basket, but this is Terry Ryder. He’s got quite a name around town and he’s been in the property game a long time. So I thought I’d take a closer look at what he’s saying. Most market outcomes in recent times have made nonsense of the shortage claims. The fact that four of the past six years have been periods in which prices on average have fallen is inconsistent with the idea of a chronic shortage so bad it has been often called a crisis. … Where there is no rental growth, you can safely conclude that there is no dwelling shortage. This is economics 101. When there’s a shortage of something the price goes up. A shortage of properties to buy, prices go up. A shortage of properties to rent, and rents go up. But in truth, that logic only applies in a market where goods are more less the same. Like oranges. Oranges are cheaper. You buy more of them. But the housing market is not one of those markets. House are vastly different. And if houses become cheaper, you don’t buy more. You buy a better one. And so it starts to get a little complicated. The other thing is that most people in the media and so on, when they talk about a shortage, they’re talking absolute numbers. But “demand” is not just about numbers. Demand always has to be thought of relative to price. Think about it this way. Say, under present conditions, your budget allows you to have demand for about $500,000 worth of house. Then conditions change. Say you have to take a bit of pay cut. Maybe now you only have demand for about $400,000 worth of house. The shortage / oversupply balance hasn’t changed. But the level of demand has. And you could then witness downward pressure on prices even though there’s been no change to the supply demand balance. And that’s why in a market like houses, prices don’t give you a completely clean read on the level of under or over supply. And I could think of a number of factors that would put a bit of downward pressure on prices that are independent of the supply shortage. Banks have been cutting back on the amounts they’re willing to lend, and LVRs they’re willing to accept. Likewise, households became pretty nervous after the GFC. They were worried about the global outlook and about their own job security. They started cutting back on debt. And there was a lot of fear in the housing market in those days. People were watching the shake out in the US with terror. What if it happened here?? All of these things would have put downward pressure on prices. Prices reflect any number of interconnected factors. And through the time Ryder is talking about, it just so happened that the forces putting downward pressure on prices, like miserly banks, offset the factors putting upward pressure on prices – like the shortage. So it’s a neat argument that Ryder makes, but too simplistic for a market like housing. And to look at it another way, have a look at this chart here. This is one of the most explosive charts I’ve seen in a while. It tracks rental prices (in the inflation data) against population growth. You can see the correlation’s pretty tight. But what jumps out at you is the disconnect that’s opened up in recent years. The population’s been growing strongly, but rents have been slowing. This is exactly the conundrum we’re talking about. On one hand the population is growing strongly, exacerbating the shortage, which means rents should be picking up speed. But they’re not. They’re slowing – suggesting to folks like Ryder that the market is soft. But the question then is, what’s going to bring these two back into line? Will it be a fall in the population growth rate (with mother and immigrants somehow responding to market signals)? Or will it be a pick up in rents? You know where I sit. Terry Ryder and Steve Keen should be put in a rubber raft with a small hole in it and set adrift… they are a blight on the average person considering investing in property. The Media we all know have no idea and write articles to sell advertising but for some reason if you comment as an independent researcher it is a given that you must always be correct. They are rarely correct but never held to account. Just started reading your articles – really insightful! Love your shoot fro the hip style and how much you share! I think what you will find is that the household sizes are getting bigger . For houses to go from 2.4 to 2.5 people per household requires for instance 22000 less homes in Perth . Terry was correct in talking about an oversupply of apartments and you only need to look at the way th market operates to understand why. Developers build for profit and assume demand . It is based apon buying an building for less than sales .just because the last development of 10 units makes a profit , doesn’t mean the next 300 will.if there is a big profit many will jump in and develop , only to temporarily oversupply the market . That is his point Therein lies th opportunity to buy below replacement temporarily. Watch for this opportunity. Nice article especially the last graph. However in the markets like Melbourne there has been an over supply of houses with developers going wild and population has been on the up as well. Rents are still stagnant in melbourne even though demand is up. The current supply in the market is meeting the demand there do I am hoping that if demand goes over supply then the rents will increase as well? Hi Carl good question exactly what I was referring to in my message earlier. Jon can probably explain this best – it’s probably got to do with the over supply in my opinion? Again it may have to do with a specific price range or type of dwelling. I believe it has to do with affordability. Inflation and wages growth has to happen in addition to need (demand). I have several properties, and gone are the days when there could be even a $5 pw increase with each new lease. Older kids are moving back home too, which is decreasing demand…..yes, its happening in my family too!!! Great point, we have three males in the house all over 22 showing no signs of departing, the 27 year old and his girlfriend are not even trying to save a deposit…. I have three grown children at home as well. Gone are the days of renting, working two or more jobs to save a deposit; the world is changing. The increase in percentage of wages to buy a house is making it harder for our children and we have given them so much their expectations of the leisure side of their life is greater then what ours was. They don’t want to just work and exist, they want a life. Our children are settling with a partner later in life and they often need that other person to make a purchase feasible. From our learning we have been able to guide one child, who is home, to save for the second home. Now it is time to see what we have to do as a team to get a second child into his own place. Money education is so important yet it is something many western children don’t get. We also need to change our attitude to seeing work as a bad thing, from a job to scrubbing a floor. Time has come for boundaries for ourselves and our kids and meeting the challenges to reach goals and being proactive to do the work/education. Anne thank you for further insight into the issue. Your points are very valid especially about rental increases. Another factor to be included in the mix is the fact that prior to the GFC, Aussies in general had been borrowing, spending like drunken sailors and living beyond their means, as if there were no tomorrow. When the GFC hit, not only the banks pulled in their horns – the general public went into a consolidation phase, when they realised the extent of their exposure and the risk to their future financial viability. For families, it meant trying to pay down the ‘Plastic Fantastic’ debts and for investors, it meant reducing their ratio of debt relative to ensured income. The effect of this uncertainty is, I think, still in operation, if slightly ameliorated. However in the housing market, it has been masked somewhat by the significant rise in purchases in people’s SMSFs, as they reflect on the abysmal performance of traditional Super Funds, based mainly on investment in share portfolios. Significantly, Asian investors, looking for a diversification into stable international investments have also masked the effect of the local drop in property investment. The chart may appear to show a correlation between population growth and rent growth, but that doesn’t mean that it demonstrates any causality. Is it reasonable to believe that if rent goes up the population must also go up, or vice versa? Other contributors have already rightly suggested that growing household size may negate the population growth. Additionally, it’ll depend on what rent is actually measured. If the chart is tracking median rent then a decline in median rent growth could simply indicate that the ownership profile has changed and more expensive homes are now owner occupied, and cheaper homes are being rented. The chart could be used to illustrate a growing wealth disparity equally as well as forecasting a pump in house values. Only one can be real. How does this rental growth compare to increased investment in affordable housing such as NRAS? This would surely impact on median rent increases/growth! I think the main reason we are not building as many houses in Australia now is because of the ridiculously high cost of skilled and unskilled labour here, as a indirect result of the mining boom. The cost to build a house in the last 10 years has doubled. I live in regional NSW and I can buy a nice 3-4 bedroom house in town on 1000m block for $200-$300k with an established garden. To build a new one in a housing estate with house and 400sq m land package is min $450k. I agree the supply curve will probably keep falling until the relative cost to build them does. 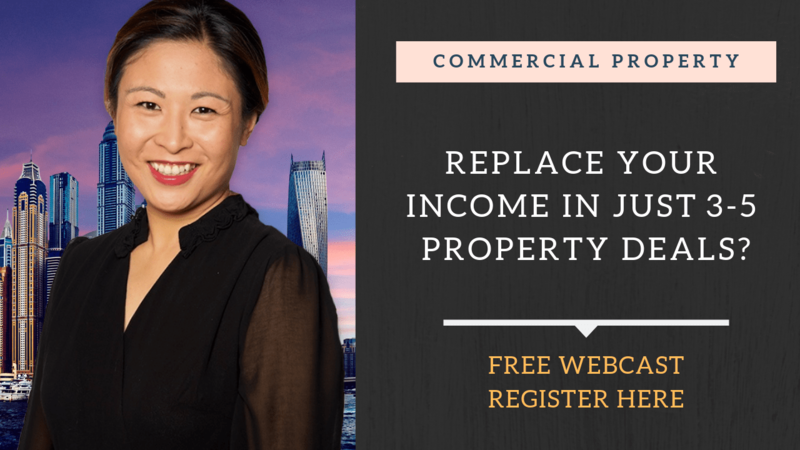 There’s no easy formula when it comes to property investments. I think the best you can do is study the area you wish to buy in, (due diligence) and research the rents. I only buy in areas that I would be happy to live in. I’ve seen new housing developments where you don’t have room for visitors to park completely on the road outside or swing a washing line around out the back. People should be more discriminating when purchasing, so developers don’t continue to build these. They’d stop building them if they stopped selling them! I charge a higher rent for the properties I own because I’ve found that tends to attract the sort of people who will look after the place. I ensure the home/garden is beautiful, so it’s not vacant for long and attend to any problems personally….and promptly! I’ve been doing this for over ten years and I have a lot of satisfied renters. Happy renter/happy landlord! What’s your view on the impact that the average household size is having to the graph and your original theory in this article?